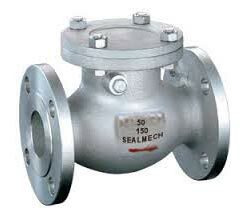 MNC Swing Type Non Return Valve that we manufacture, export and supply is widely demanded across the globe. We offer valve in swing type and lift up type designs for buyer’s selection. Swing Type Non Return Valve that we provide is manufactured under the supervision of experts using high-grade raw materials and latest machines. We can also customize our Swing Type Non Return Valve as per the specifications provided by buyers.